For over 40 years – as designer, musician, lecturer, writer, teacher, critic and researcher – Bill has been obsessed with the evolving human-technology dance. From the creative disciplines of music, his focus has evolved to the broader stage upon which this dance takes place. A practicing skeptimist, he is a devotee of Melvin Kranzberg’s first law: “Technology is neither good nor bad; nor is it neutral. It will be some combination of the two.” Thus, he is driven by a pursuit of “informed design”, without which he believes the bias will most likely lean towards the bad rather than the good. Buxton earned his Bachelor of Music degree at Queen’s University, then studied and taught for two years at the Institute of Sonology, Utrecht, Holland. Designing his own digital musical instruments led him to the University of Toronto, where he completed an MSc in Computer Science, and subsequently jointed the faculty. It is also the path that brought him into the field of human-computer interaction, which is his technical area of specialty. From 1987-89, Buxton was in Cambridge England, helping establish a new satellite of Xerox’s Palo Alto Research Center (EuroPARC). From 1989-94 he split his time between Toronto, where he was Scientific Director of the Ontario Telepresence Project, and Palo Alto, California, where he was a consulting researcher at Xerox PARC. From 1994 until December 2002, he was Chief Scientist of Alias|Wavefront, (now part of Autodesk) and from 1995, its parent company SGI Inc. In the fall of 2004, he became a part-time instructor in the Department of Industrial Design at the Ontario College of Art and Design. In 2004/05 he was also Visiting Professor at the Knowledge Media Design Institute (KMDI) at the University of Toronto. 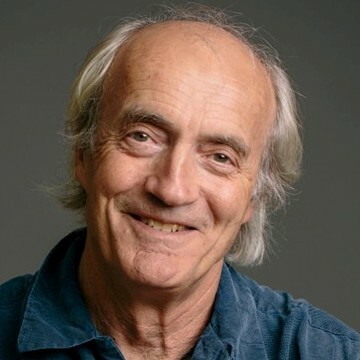 In 1995, Buxton became the third recipient of the Canadian Human-Computer Communications Society Award for contributions to research in computer graphics and human-computer interaction. In 2000 he was given the New Media Visionary of the Year Award at the Canadian New Media Awards. In 2001, The Hollywood Reporter named him one of the 10 most influential innovators in Hollywood. In 2002, Time Magazine named him one of the top 5 designers in Canada. Also in 2002, he was elected to the CHI Academy. In October, 2005, he and Gord Kurtenbach received the “Lasting Impact Award”, from ACM UIST 2005, which was awarded for their 1991 paper, Issues in Combining Marking and Direct Manipulation Techniques. In June, 2007, he was named Doctor of Design, Honoris Causa by the Ontario College of Art and Design, in 2008 he became the 10th recipient of the ACM SIGCHI Lifetime Achievement Award, “for fundamental contributions to the field of Computer Human Interaction,” and in January 2009 he was elected Fellow of the Association of Computing Machinery (ACM), for his contributions to the field of human-computer interaction. In that same year he was granted a Doctor of Laws, honoris causa, by his alma mater, Queen’s University, and that November was awarded an honorary doctorate in Industrial Design from the Technical University of Eindhoven. Finally, in 2013, he was awarded the degree of Doctor of Science, honoris causa from his other alma mater, The University of Toronto. Bill is on a number of academic advisory boards, including the Faculty of Industrial Design of the Technical University in Eindhoven, the Netherlands. Buxton is a member of the Association of Computing Machinery and the Industrial Designers Society of America. In 2010, the Bill Buxton Dissertation Award was founded. This award is given annually for the best doctoral dissertation completed at a Canadian university in the field of Human-Computer Interaction.